If you need a truly elegant and illustrative Restaurant Elementor Template for promotion of your restaurant you should take a look at Grande Cuis! This Restaurant WordPress Theme is as highly functional and has perfect design. Grande Cuis has an appetizing appearance with a lots of plugins that will make your website stand out and will engage a great number of admirers. 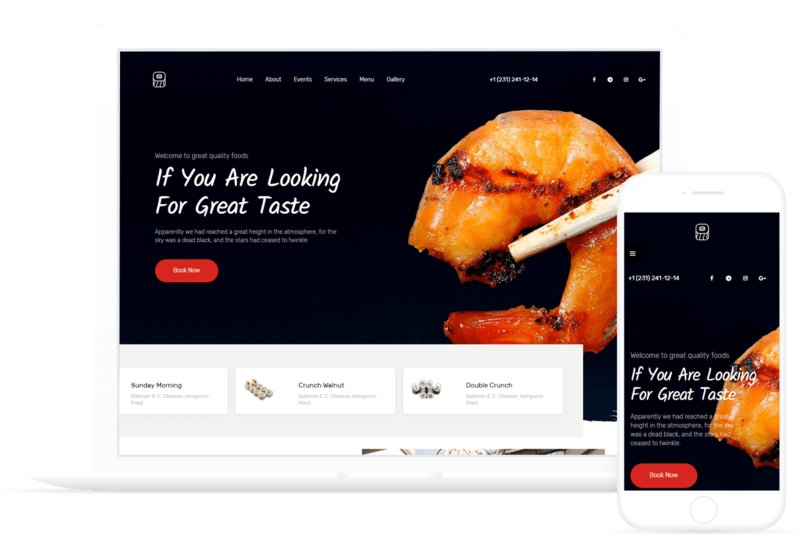 Grande Cuis built on Elementor Page Builder has everything for successful restaurant business! lots of pages and blog layouts designed in the clean Kava style. Get all the demos included in this pricing plan for all purposes and website topics, from business to blogging and online store ones! CrocoBlock membership gives you access to all the premium Jet plugins, which allow creating all kinds of content without coding knowledge! Feel confident when using CrocoBlock products, and leave all the rest to the efficient support team that will promptly handle all Your questions! CrocoBlock support team provides fixes and technical support of all products included in the CrocoBlock subscription. While you’re a CrocoBlock member you’ll receive all the updates for every one of our products! We provide the money back guarantee during 30 calendar days. When the term expires one can no longer get a refund. We offer access to the professional HQ images pack with loads of images in high resolution on almost any topic! CrocoBlock subscription gives you the guarantee that all of our products will be updated and supported! Want to Create a Theme Using CrocoBlock Products? Apply for the Theme Authors Program Now! Sign up to get the latest news from us! Now You're One of Us!